For every $1.40 decrease in the cost of a standard drink at bars targeting college students, patrons are 30% more likely to exceed a BAC of 0.08, according to researchers at the University of San Diego. It seems logical that college students would drink more at bars that served lower price drinks, but this assumption lacked clinical study evidence. Bar owners that served the college market had long argued, in contrast, that lower priced drinks did not induce greater consumption, but were simply a marketing technique essential to getting price conscious college consumers to walk in the door. The researchers decided to formally investigate the price influence of alcohol consumption in college targeted bars – to see once and for all what affect promotions like "all you can drink nights" have on drinking behavior – and it turns out – not surprisingly – that college students drink more at bars that offer cheaper drinks. The researchers asked 804 customers coming out of 7 college-student bars over 4 consecutive nights how many drinks of what type and size they had consumed and how much they paid for each drink. They then collected a blood alcohol sample. Based on this information they determined a cost per gram of pure ethanol consumed by each patron and matched this cost to end of night BAC. They found that patrons who paid the most for drinks were least likely to demonstrate an elevated BAC at leaving time; and that for every $1.40 price decrease in the cost of a standard drink (which contains 14 grams of ethanol) students were 30% more likely to blow a 0.08 BAC or higher (above 0.08 is considered legally intoxicated). The researchers say that since heavy alcohol use by college students is associated with increased rates of abuse, fighting, sexual assault and drunk driving, that policy makers may want to reevaluate the social costs/economic benefits of cheap alcohol and alcohol promotions at college bars. 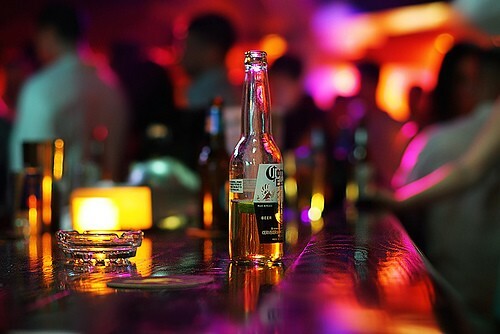 In commenting, lead researcher Ryan J. O'Mara, of San Diego University, said that it was unlikely that bars and clubs would voluntarily eliminate bargain alcohol, saying, "I suspect their primary aim is to generate revenue, which unfortunately conflicts with protecting public health and safety."